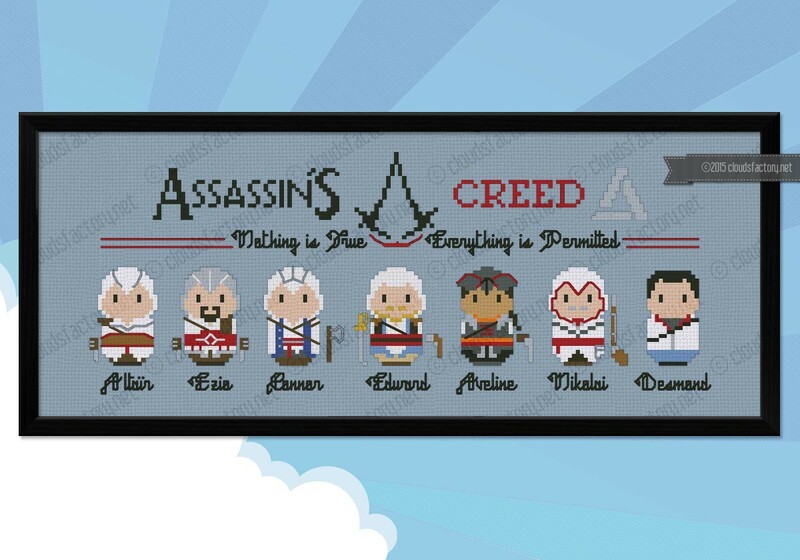 This cross stitch pattern features all the characters from the videogames series Assassin's Creed: Altair, Ezio, Connor, Edward and Aveline, Nikolai and Desmond, together with the Assassin's Creed logo and the Abstergo logo and the motto "Nothing is real, everything is possible". A must have for all the game fans! 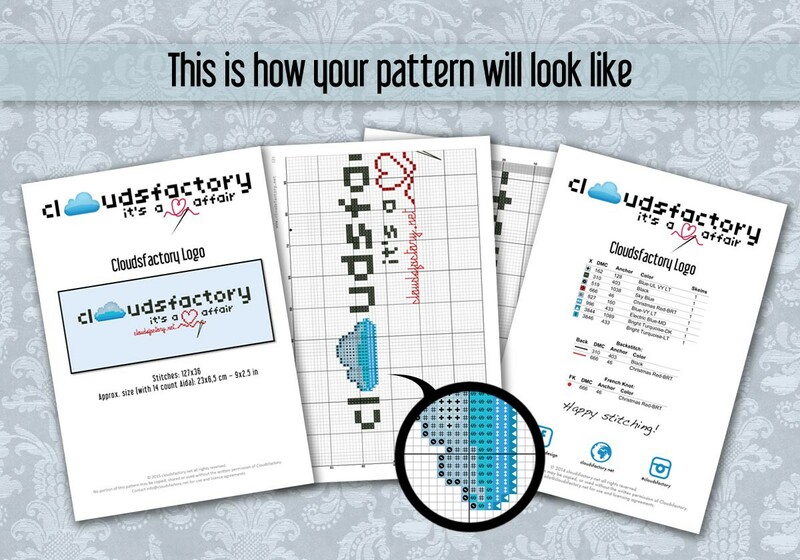 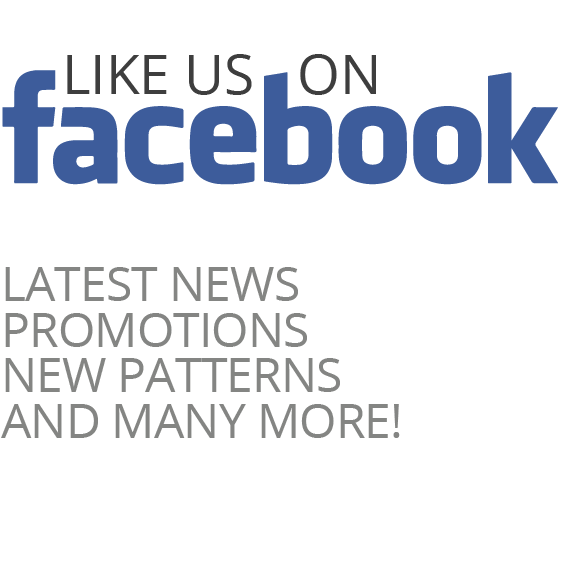 Due to the high number of irregular backstitches, we highly suggest to stitch this pattern on linen or even weave. Anyway it can be easily stitched on Aida fabric, punching the middle of the squares for the backstitch.